A couple of months ago the editor of In Retrospect Magazine offered me the opportunity to be sent a couple of issues of the magazine to review and of course I was delighted to accept this offer. He wanted me to be as honest and true as possible so this is why my review has taken a little while to do - I wanted to have a proper flick through and a good read before I put pen to paper, or finger to keyboard if you will. 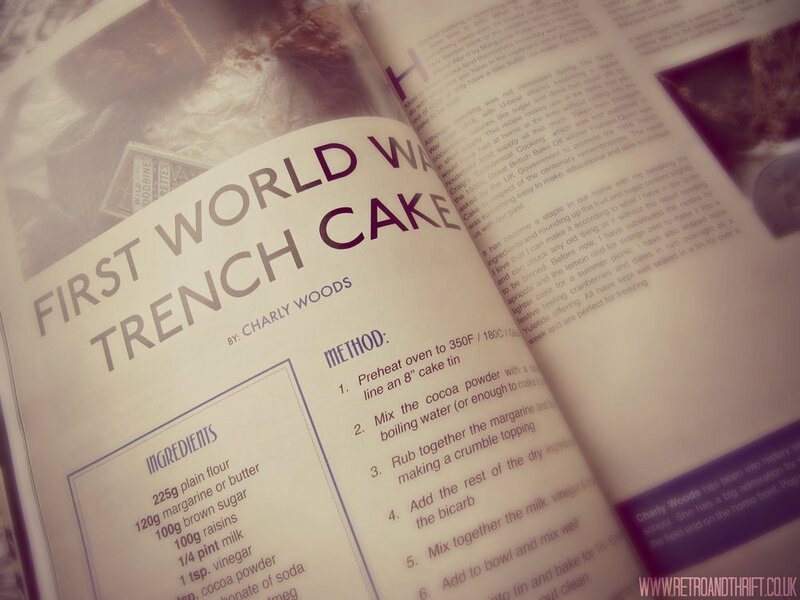 The magazine has been running since May 2014 and started out in digital format originally but thanks to a Kickstarter campaign the first issue was able to be published on the 1st of December 2014. My first impression of the magazines is that they are absolutely stunning and perfect to sit on a coffee table. The magazine covers are beautifully put together and the paper quality is just divine (am I the only one who gets excited over good paper?). I also love the way that the magazine is geared towards all vintage lovers - most of the covers feature a man and a woman. 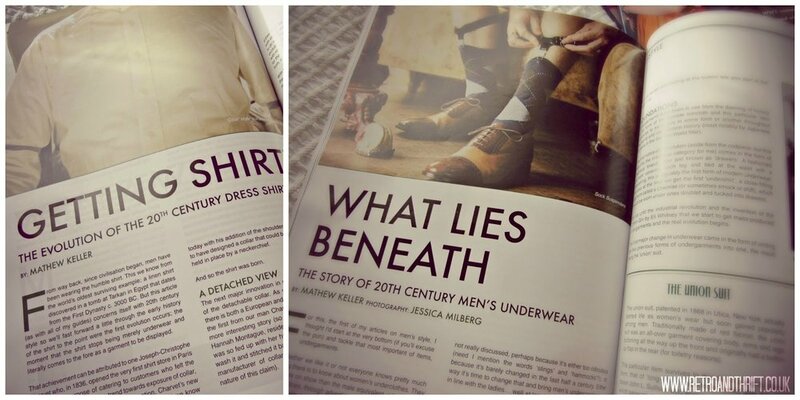 This is reflected throughout the whole magazine where there are articles that everyone would enjoy reading, none of them are too 'girly' or too 'manly' which is often one of my pet hates of magazine culture. The design is also very modern and this could be something people love or hate. Obviously if you love vintage you may want your magazine and it's design to echo this, however I feel that the contrast of modern aesthetic with vintage imagery works extremely well. Furthermore the contrast ties in with the magazines tagline 'A Modern Magazine for Old Fashioned People'. Now, let's get down to the actual content of the magazine. It is bold, bright and very easy to read, with plenty of topics to be discussed. Again, topics are not directed at one gender, there's recipes, gift guides, style tips and tricks and a little bit of history too (my personal favourite). 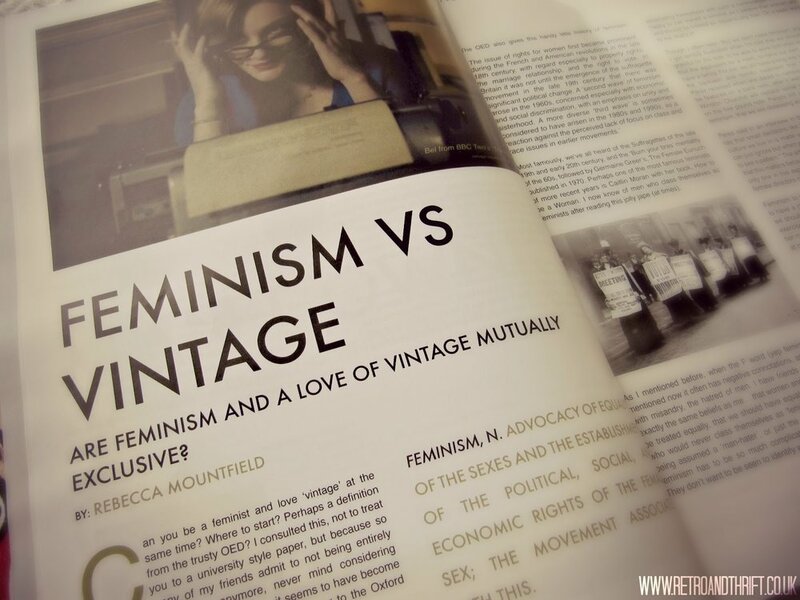 Another section I love is the 'In Focus' section where writers have discussed topics from 'Feminism vs Vintage' to questioning whether or not the 90's are vintage. The pages are full of beautifully displayed writing and imagery - you can see why this magazine is seasonal rather than monthly. It's taken me so long to read them all - again perfect for dipping in and out of. I feel that although I have received magazines from the past year they are all still relevant, not many style magazines can say that. That's the beauty of it, in an ironic kind of way I believe vintage is timeless, and so is In Retrospect magazine. I think these magazines, although written by full-time vintage wearers who are obviously experts in the field are suitable for anyone, whether you've being living the vintage lifestyle for 20+ years or if like me you dabble in and out of the scene. There really is something for every type of vintage lover within these pages! 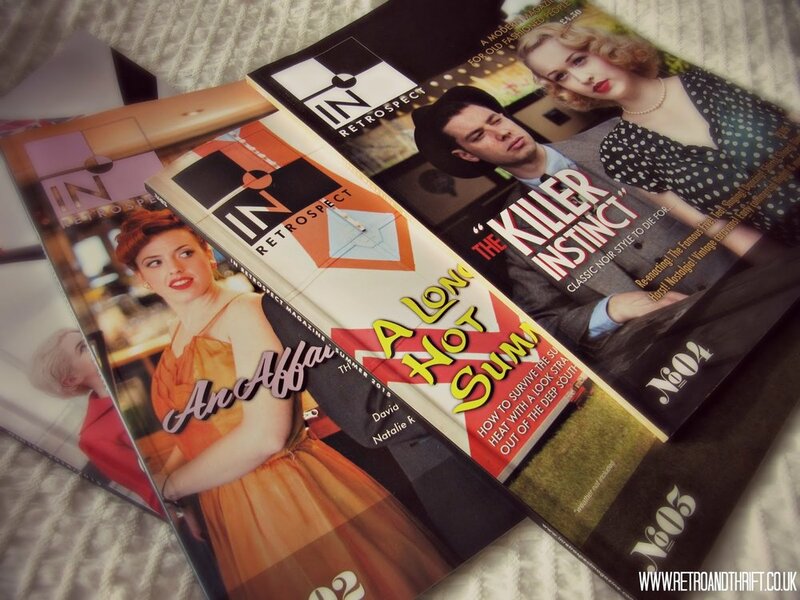 You too can receive back issues of In Retrospect here as well as subscribing to future issues. That brings me to price (it's retro AND thrift for a reason you know?) The affordability of these magazines is just amazing. For a quarterly issue of a magazine of this quality I'd easily expect to pay £10+ but each issue is just £4.50 - even as a student I think I can stretch to that? I also think that a subscription would make the perfect Christmas gift for a vintage lover (or yourself even hehe!). If you'd like to know more about them they have a fantastic website and also a twitter page.